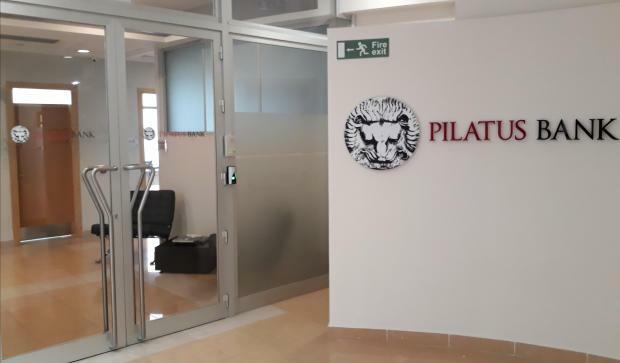 Pilatus Bank was set up deliberately to launder money, Maltese MEP David Casa claimed on Thursday, saying he had received further evidence he had been asked to pass on to the European Central Bank. "The conclusion that I draw from this information goes beyond Pilatus Bank merely flouting anti-money laundering codes. The bank appears to have been conceived from the very start as an organisation designed to launder money, with banking staff instructed to fabricate paper trails justifying suspicious transactions after they have been carried out,” he said in a statement via the European People's Party. He also drew the attention of ECB supervisory Board to the recent report published by the ad-hoc European Parliament delegation to Malta. The report has been sent to both the president of the European Central Bank, Mario Draghi as well as to Andrea Enria, the chairperson of the European Banking Authority by MEP Ana Gomes in her capacity as chairperson of the ad-hoc European Parliament fact-finding mission to Malta. "My call for ECB intervention in the case of Pilatus Bank is now a position shared by representatives of all political groups in the European Parliament," he said. The fact-finding mission report calls for the ECB to intervene to assess how Pilatus Bank has been allowed to continue to hold a licence to provide services in the European Union and to assess the possibility to intervene to seek the revocation of that licence. He added that both the European Parliament resolution of November 15, 2017 on the rule of law in Malta and the subsequent report of the fact-finding mission to Malta published on January 11, show that this is a deep and justified concern shared by all political groups within the European Parliament.